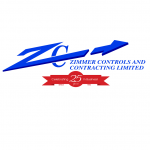 Zimmer Controls & Contracting Ltd. 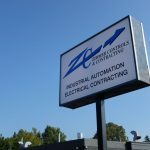 Since 1992, we have kept up to date with the ever changing technologies relating to Advanced Industrial Automation and Machine Control, with various PLC and HMI manufacturers & software platforms. Typically once we enter a relationship with a customer it develops into a never ending bond. This bond is created due to the trust that we will provide a quality, leading edge service that meets expectation. From concept to design and automation through to installation, quality is never jeopardized. Our control panel building/assembly abilities have been highly praised by the ESA Field Evaluation Inspectors. Your project completion deadline is always a major part of our daily planning of manpower distribution. If you are suffering from a major failure our technicians will move quickly towards a suitable resolution.